“Game of Thrones” star Liam Cunningham, who plays Jon Snow’s new advisor Ser Davos, dismissed a fan theory that Sansa Stark is pregnant with Ramsay Bolton’s child. On last week’s episode, Sansa’s (Sophie Turner) betrothed was captured by Jon Snow (Kit Harington), and then fed to his own hounds. 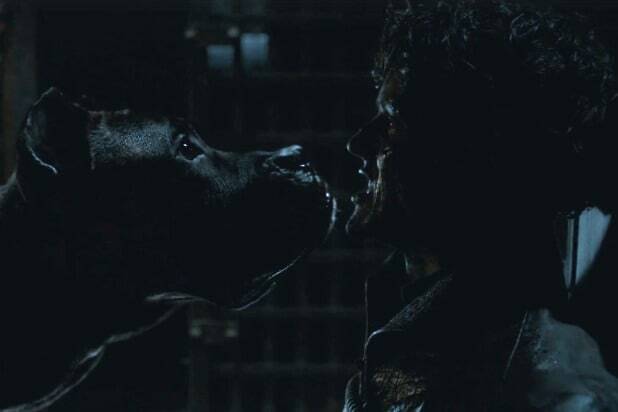 Before the dogs pounced on him, Ramsay told Sansa that one line that got fans thinking Sansa might be pregnant, but Sansa countered and finished him before she walked away and let Ramsay die. “Your words will disappear. Your House will disappear. Your name will disappear. All memory of you will disappear,” she said. Since the death of Robb Stark, Ramsay Bolton has been the core around which events in the North on "Game of Thrones"revolved. Every storyline in that region came from other characters reacting to Ramsay's horrid atrocities. Now that he has been killed off and Sansa and Jon have Winterfell, things get much more complicated moving forward. For starters, there's the matter of what to do with Jon Snow. It would seem that he is using his death and resurrection as a loophole out of his service to The Night's Watch ("Night gathers, and now my watch begins. It shall not end until my death."). Despite his reluctance to lead and the fact he nearly got everyone killed, a speech by Lyanna Mormont led to Jon becoming the new King in the North. But Jon's reign is a tenuous one. Bran Stark, the true heir to Winterfell (though presumed dead), has discovered that Jon is the son of Lyanna Stark and Rhaegar Targaryen. Depending on what Bran does with this information, it could mean bad news for Jon and a massive shakeup of the status quo in the North. Speaking of status quo shakeups, what about the Free Folk? Thanks to Jon, Tormund and his kin are no longer held back by the Wall and are now living among noble houses that will surely resent their presence. Perhaps the wildlings could find a new home in the lands that once belonged to the Boltons, but how long could Jon maintain an uneasy peace when there is still so much prejudice between the wildlings and kneelers? Petyr Baelish saved the day at the Battle of the Bastards with his reinforcements, but everything Littlefinger does comes at a price. He claims he wants the Iron Throne with Sansa at his side. Sansa rebuffed him, only for Littlefinger to point out that she by all rights should be in charge, not Jon. When Jon was declared King in the North, Sansa and Littlefinger shared a meaningful look at each other. Is Baelish in Sansa's head. Could she and Jon soon be working against each other? There's also another little secret Sansa doesn't know about Littlefinger: his involvement in the capture and death of her father, Ned. Sansa already has trust problems with Littlefinger after his schemes led to Sansa being raped by Ramsay. If she learns that he sold her father out in an attempt to gain power with the Lannisters, the relationship between the two could get ugly very quickly. Thanks to Arya, Walder Frey is now dead, along with his sons. That means that Riverrun is without a man in charge, though still technically under Lannister control. Will the Stark or Targaryen forces move to grab it? We are also now closer than ever to finally seeing Daenerys and her dragons make their grand arrival to Westeros. 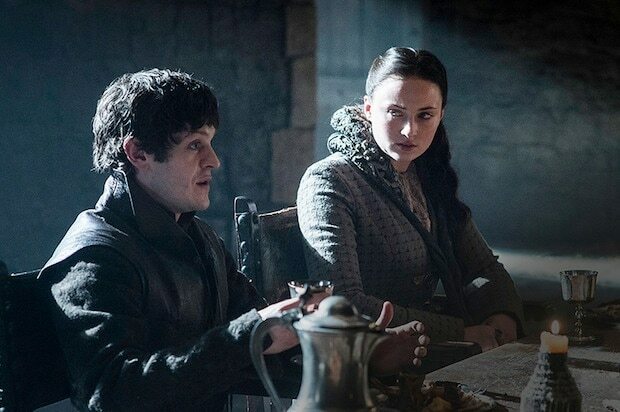 While she has Tyrion and Varys on her side to help her gain allies, Jon and Sansa will likely be considered major obstacles in the campaign to restore the Targaryens to power. Could a collision between some of the most popular characters in the series be ahead? But the biggest question of all is this: How will everyone in Westeros deal with the coming of the White Walkers? It has been put off for quite some time now, but one of the Starks' motives behind retaking Winterfell was to unite the North in the face of this oncoming threat. With so many dead after the last battle, are there enough forces left to save the Seven Kingdoms?